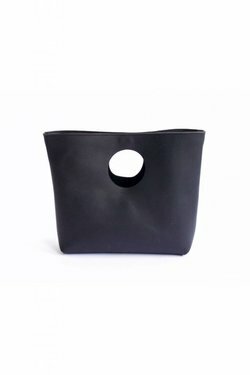 Lee Clutch in Black - Wildland Supply Co. 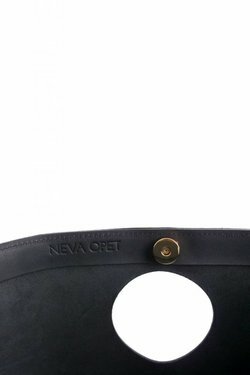 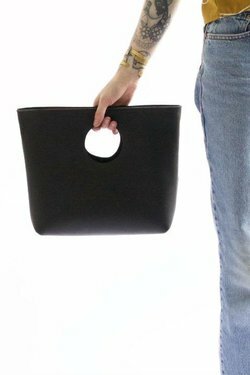 This large oil hide leather clutch easily transitions from day to night with its modern circle cutout handle. 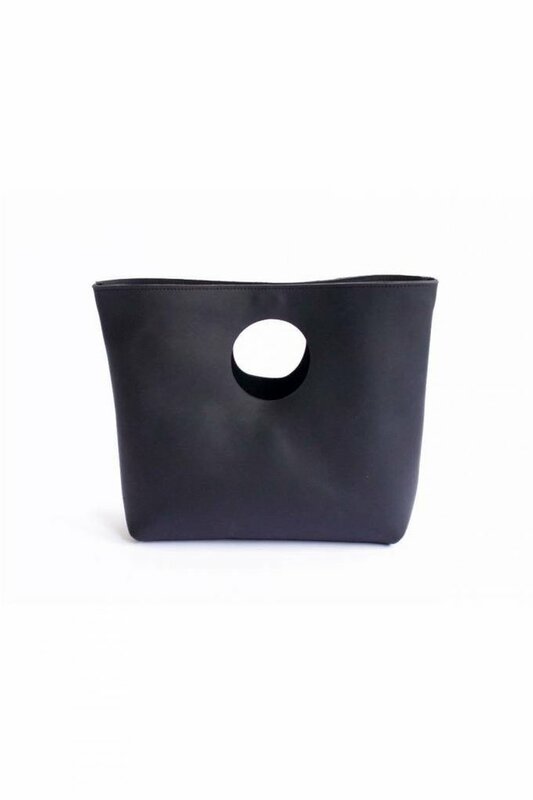 Oil hide leather has been treated with a mixture of oil and wax during the tanning process. It is naturally water and stain resistant, making it a truly rugged and durable leather. 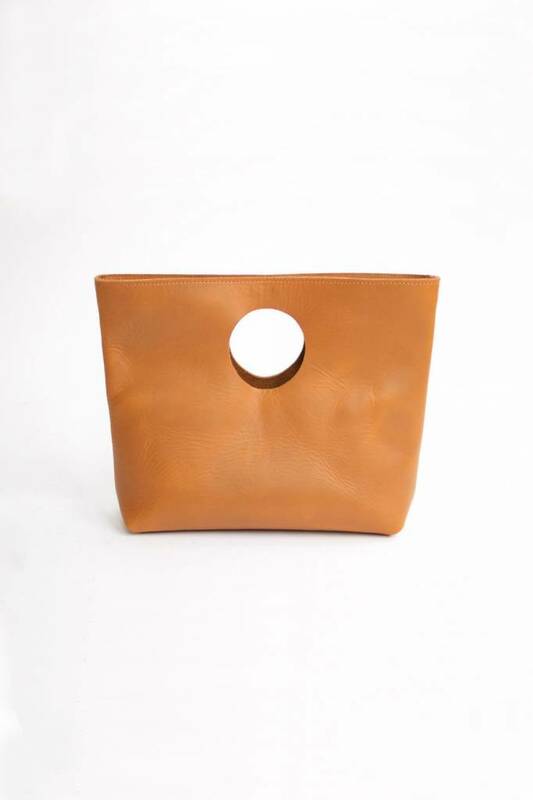 This bag will age beautifully with time and wear. Throw your daily essentials in and you're ready for the day.